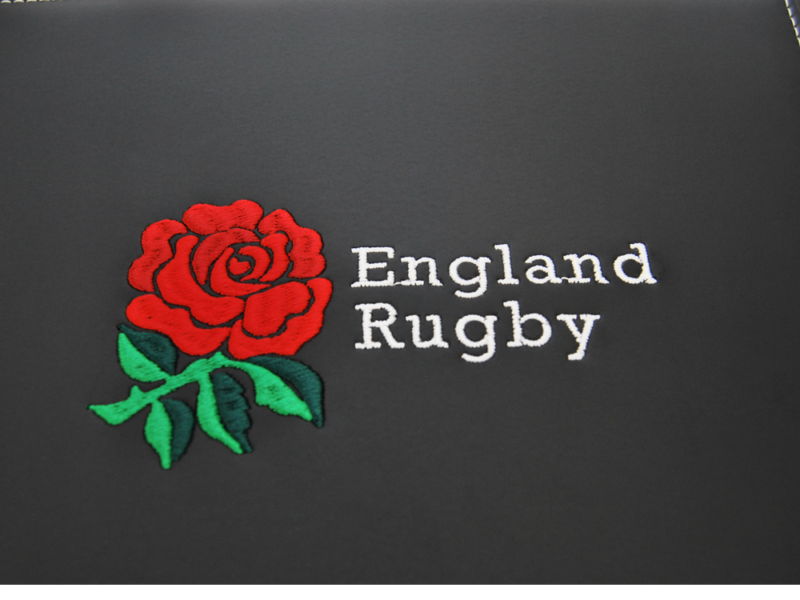 Embroidery is nothing new. 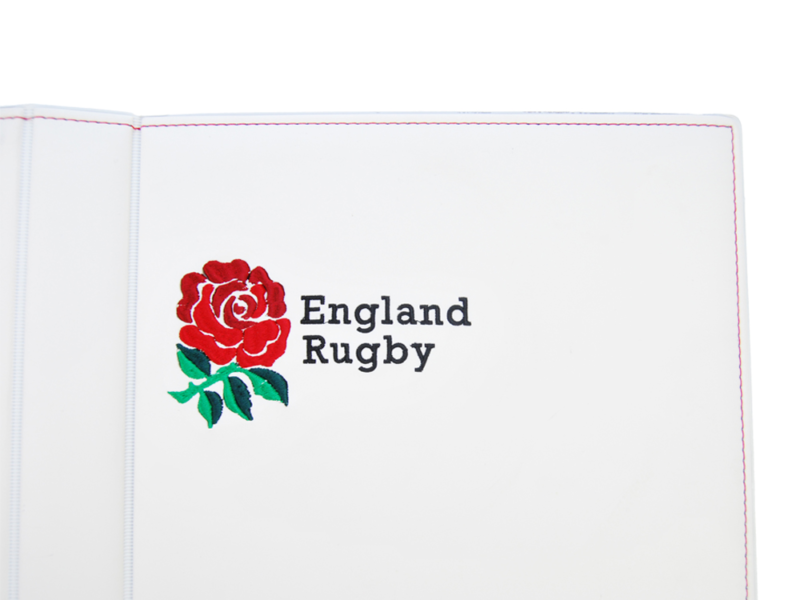 However utilising this method of decoration has not been used on binders before now. 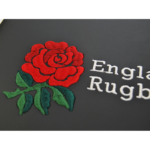 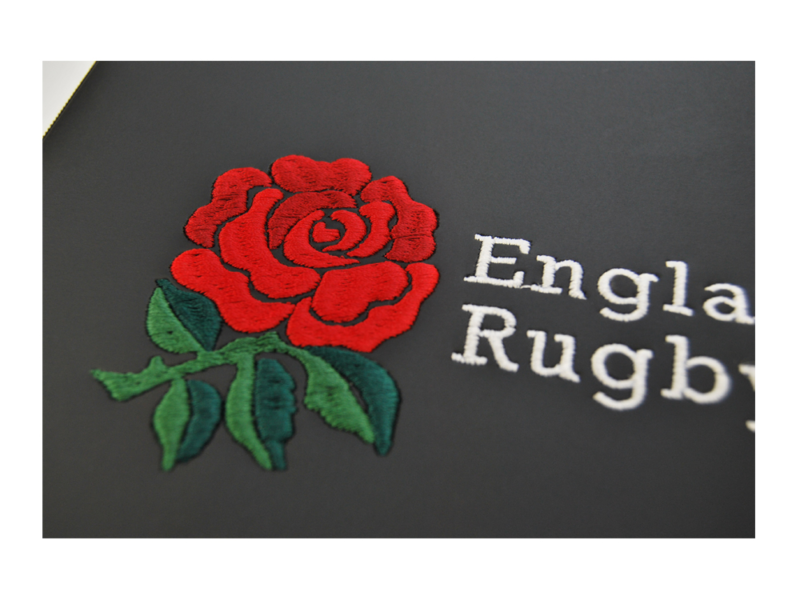 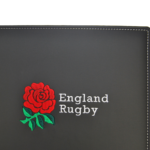 We can now embroider your Logo into soft expanded PVC, PU and Leather. 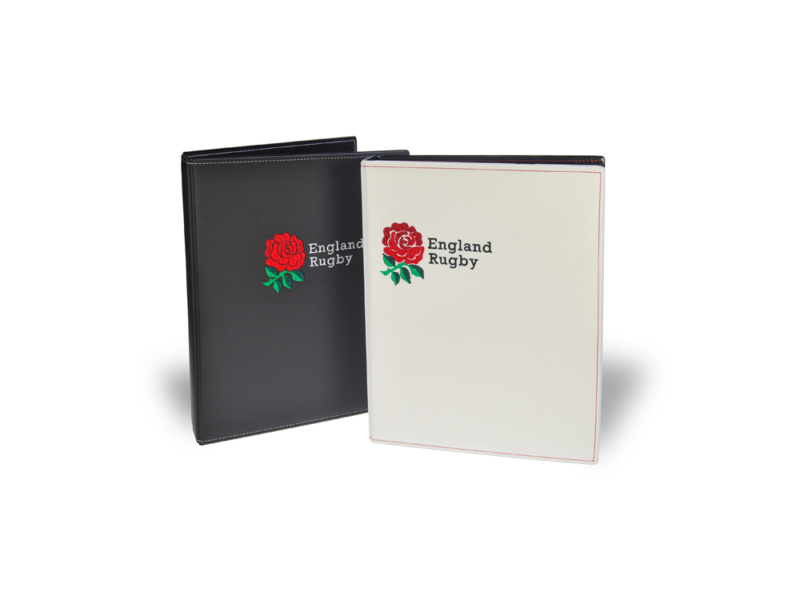 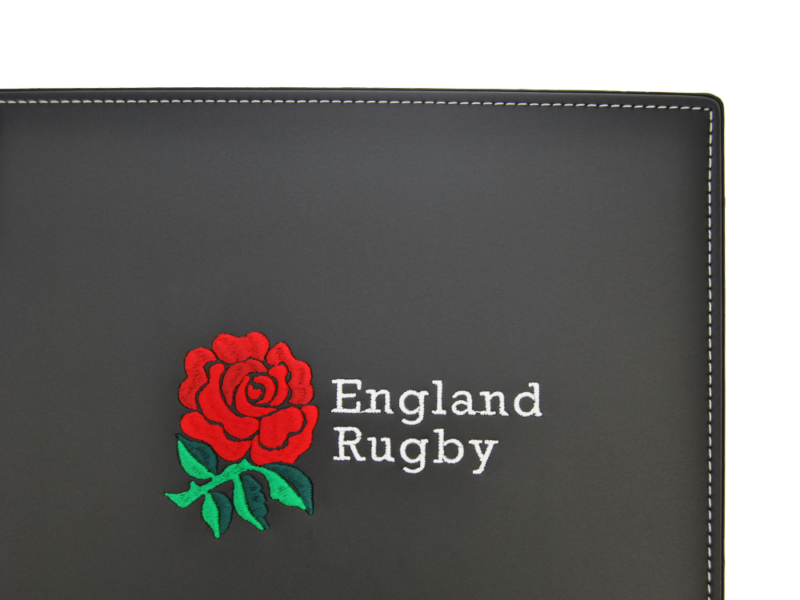 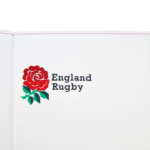 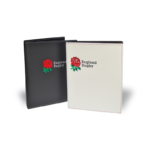 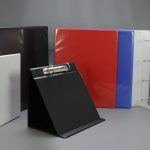 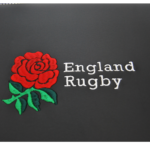 The embroidered logo gives a new branding effect to ring binders.